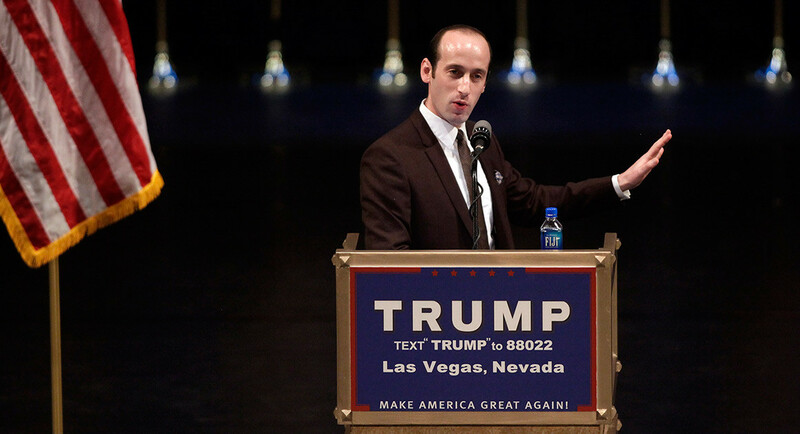 While the republican President Donald Trump has been pretending to cry crocodile tears over its new immigration policy enacted via an April 6, 2018 memo by his Attorney General Jeff Sessions, and as the president blames the democrats, his Senior Adviser Stephen Miller has been bragging about his part in creating this new policy of separating children from parents seeking asylum at the southwest US border. Next Is Rudy Giuliani Being Investigated By FBI’s Special Counsel Robert Mueller III? Here is a long read all about Miller. He is a very dangerous man. Thought you might like this article. Thanks for sharing this reference as it does shed light on Mr. Miller’s lack of character. Shameful little (in terms of integrity and character) man. Mr Miller is proof possible that life is not fair and that lack of character and integrity means nothing within this White House. Here is a 31 year old obnoxious Millennial who is making a bloody fortune being a racist with a cruel streak. Indeed and this will be his legacy. I wonder if he has thought of that?…..Probably not, I smell arrogance of the bad sort. The last thing Stephen Miller would be, is a fan of Star Trek as he lacks the imagination. There’s a picture of him as a child in the Star Trek uniform and the article said that he was a huge fan. Although clearly he missed the theme of so many shows, tolerance for difference. I’m ashamed of myself for letting my prejudice make a snap judgement as to Mr. Miller not having the imagination to be a Star Trek fan. It was just the wrong kind of imagination. It is indeed the wrong kind of imagination. Thank you for your informative blog!